Brass lamps, velvet office chairs, and amazing loft beds worthy of their own show on HGTV. 2. A storage ottoman designed to replace the chair. You know, the chair in your room with the ever-growing pile of clothes. The one that you can never sit on because you literally never clean it. 3. A diamond-stitched platform bed you should purchase with caution. You thought getting out of bed was hard before? Now it'll be even harder. 4. A brass floor lamp sure to 🎶 light up your world like nobody else 🎶. Sorry, whoever One Direction was singing about. You've been replaced. 5. 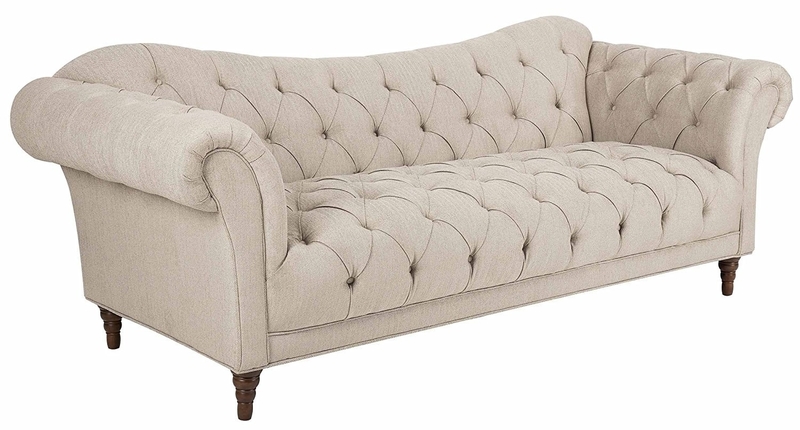 A tufted sofa that screams "come here and snuggle" after a long day of pretending to be friendly. 6. An end table you'll want to surprise with a bouquet of fresh flowers. This thing is so pretty and inexpensive, it deserves to be treated right. *Preferably bigger than the one in the picture, but do what you can. 7. 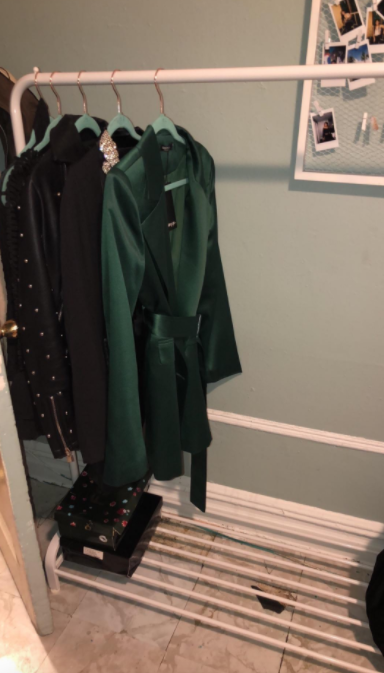 A garment rack to sneakily display all your gorgeous clothes in a way that says "I don't use this because my apartment is small, I just think it looks cool." 8. A coffee table that doesn't discriminate against tea drinkers. It welcomes all kinds of beverages. 9. An adjustable swivel chair made from a lush velvet fabric that is the epitome of luxury. SO FREAKIN' FANCY. 10. An iron metal bed frame for anyone who has a "rustic style" board on Pinterest. So simple, so pretty. 11. 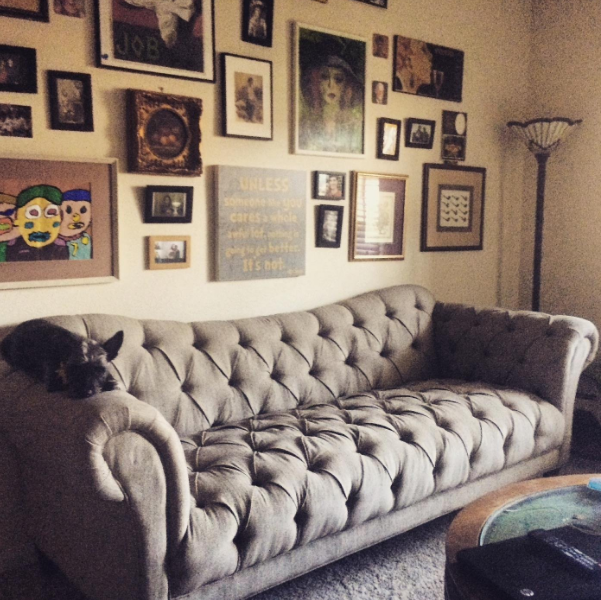 A modern sectional with a reversible chaise that can go on either the right OR left side. This is perfect for anyone who can never make home decor decisions. 12. A vanity table and stool that will transform your early AM makeup routine into something more luxurious. 13. A bar table for anyone who despises going to an actual bar. Going out is so overrated, am I right? 14. A corner desk with a sleek look that'll *maybe* motivate you to get some work done. Just remember that motivation is not guaranteed. 15. 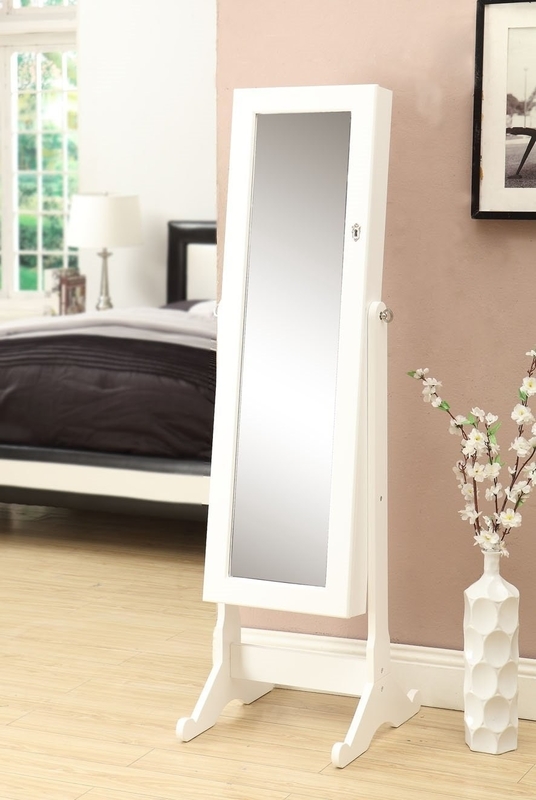 A night stand that is not a one night stand. This piece of furniture will be by your side forever. 16. An emotionally supportive TV console that understands your Netflix problem. It watched all of Stranger Things in a day, too. It will never judge you for watching an entire series in a day, which is a very important quality to look for while furniture shopping. 17. An exhausted sleeper sofa SO sick and tired of being asked, "what's wrong?" IT'S FINE. STOP ASKING. Just because it looks blue doesn't mean it feels blue. Ugh. 18. 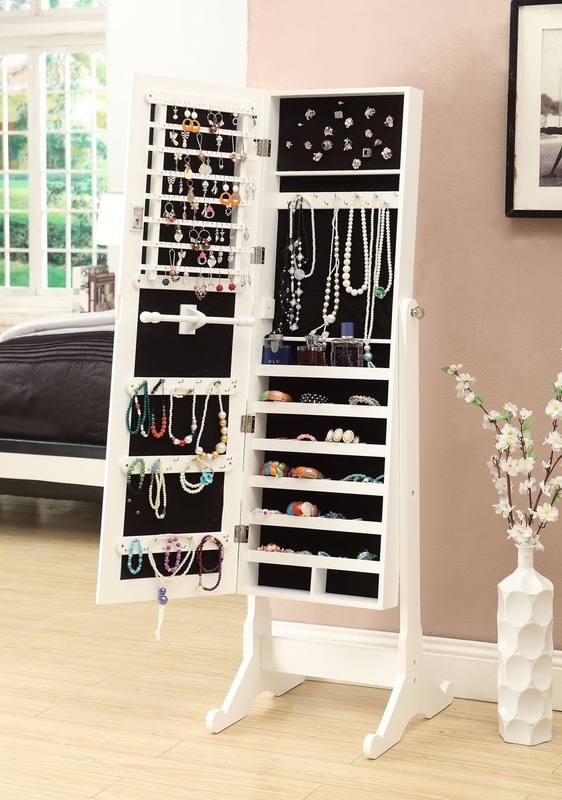 A storage mirror that will keep your $2.67 Forever 21 earrings safe from Harry and Marv. Even when you're ~home alone~. No thief would ever think to check behind my mirror. Phew. 19. A ladder shelf perfect for storing books, succulents, piggy banks, and all the other knick knacks you can think of. 20. A height-adjustable chair that is like the chair-y on top of your perfect home office. You impressive professional, you. 21. 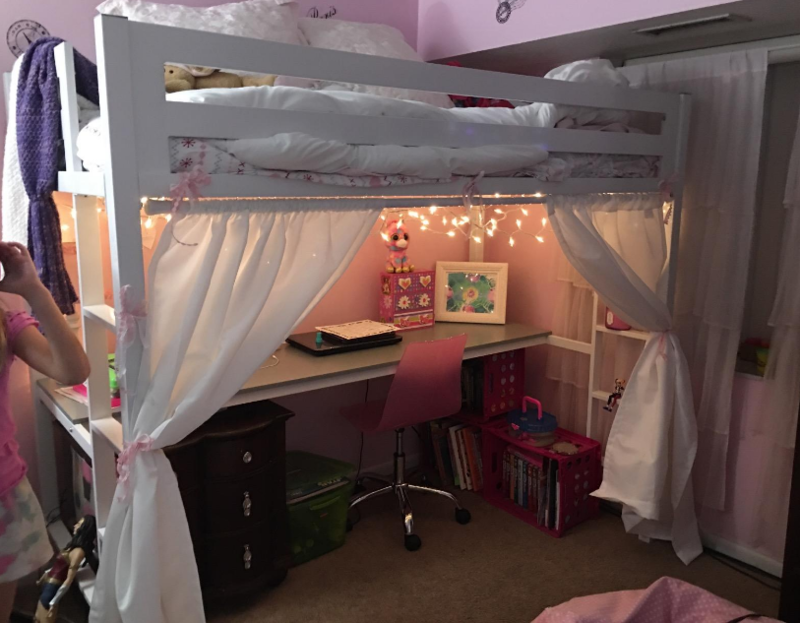 A bunk bed you should really consider if you have a smaller room. YOU'LL HAVE SO MUCH MORE ROOM FOR ACTIVITIES. Yes, that is a Step Brothers reference. 22. A retro coffee table for anyone who's looking to create a more modern atmosphere in their humble abode. 23. A three-piece table set designed with a gorgeous faux stone tabletop that looks ridiculously expensive than it actually is. 24. A faux leather bench that would make even a varsity team football player want to sit this one out. Get it? Bench? Why am I like this. 25. A table set that won't take up a ton of space in your teeny tiny home. Everybody, rejoice! Promising review: "Simply perfect; the quality, the size, the color, everything! It only took about 30 minutes to assemble it. You wont be disappointed with your purchase." —Rand J. 26. A terracotta-colored office chair with vinyl cushion rolls that's almost too pretty to sit in. Key word: almost.